So here it is, what many have asked for. You can now offer fixed-rate site-wide discounts for eShop instead of just percentage. You can download it for free at WordPress.org. If you’d like to also offer fixed-rated discount codes/coupons, please consider purchasing eShop Coupons Plus, which is a substitution for eShop Fixed Discounts. Update: v2.0 is now available, allowing the use of multiple shipping vendors at the same time. Replace eShop’s default shipping methods with live calls to Canada Post, Correios*, UPS*, and USPS*. * See Extension Modules below. eShop Shipping Extension framework overrides eShop’s default shipping methods, interacting directly with Canada Post for real-time shipping rates and services. Other services such as Fedex, and DHL will be made available soon. 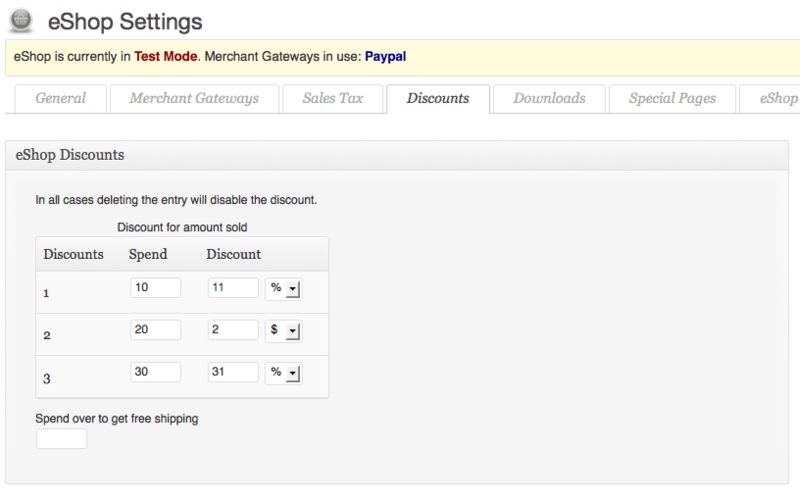 Are you frustrated that your eShop doesn’t support your Custom Post Types? 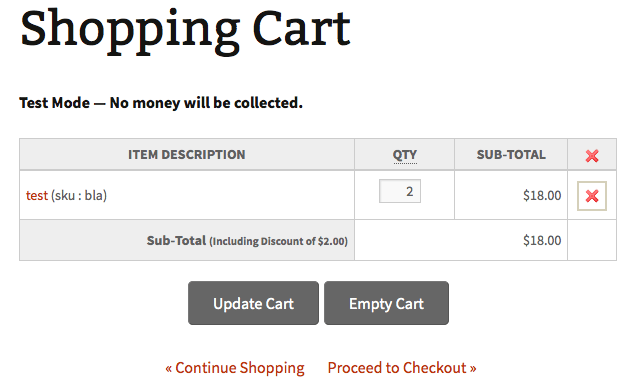 This eShop extension adds support for Custom Post Types. It allows an admin to select exactly which Post types eShop must handle – adding custom types and/or removing default ones (page, and post).